You'll be £20.00 closer to your next £10.00 credit when you purchase Operation Sealion. What's this? It is hard to believe that in the summer of 1940, neither the Allies nor the Axis powers had any experience of large amphibious operations. German planning for Operation Sealion was concerned with pioneering new techniques and developing specialised landing craft. Remarkably, in only two months they prepared an invasion fleet of 4000 vessels. In Operation Sealion, Peter Schenk begins by analysing and describing the vessels that were developed and deployed for the operation: converted cargo vessels and steamers, more specialised landing craft, barges and pontoons, and auxiliary vessels such as tugs and hospital ships. He then goes on to outline the strategic preparations for the landing and looks at the operational plans of, in turn, the navy, army and airforce. 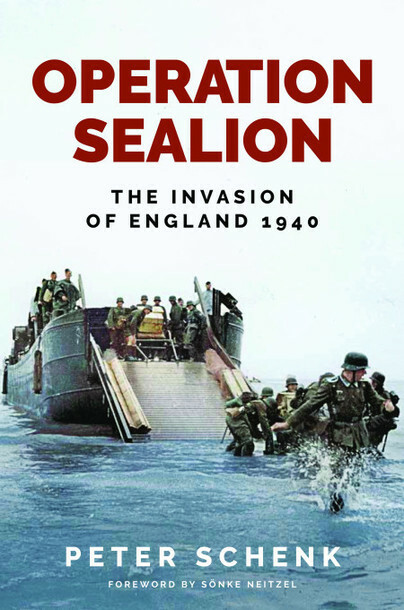 The planned invasion is described in full detail so that the reader can follow the proposed sequence of events from loading, setting sail and the crossing of the Channel, to the landing and the early advances into southern England. Schenk uniquely estimates the chances of success. This absorbing account of Hitler's abortive mission, more detailed than anything written hitherto, is of interest not just to the naval historian but to anyone with an interest in World War II. Peter Schenk is a member of Berlin's Groener Group and spent months researching Operation Sealion at Freiburg's Military Archives. He has written and co-authored five books about German landing craft, netlayers and the fleets of World War I and World War II. He has written numerous articles in After The Battle magazine, as well as in German magazines.